A different frame to all the others we make as it is much smaller and meant to be played and on , as with all our other frames are meant to be climbed up. 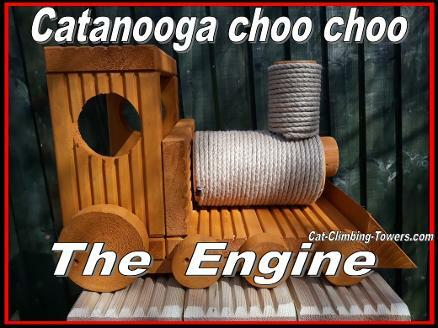 The Catanooga Choo Choo with be a great addition to any cat garden or enclosure, made out of outdoor decking and out outdoor scratch rope. 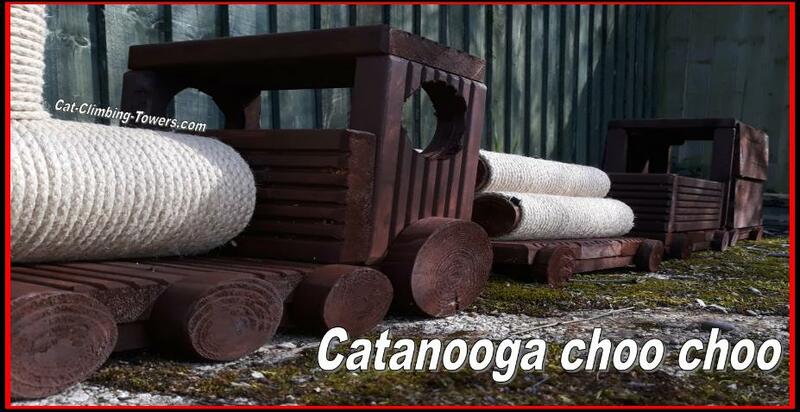 it will look great and be great fun for your cat to play with. 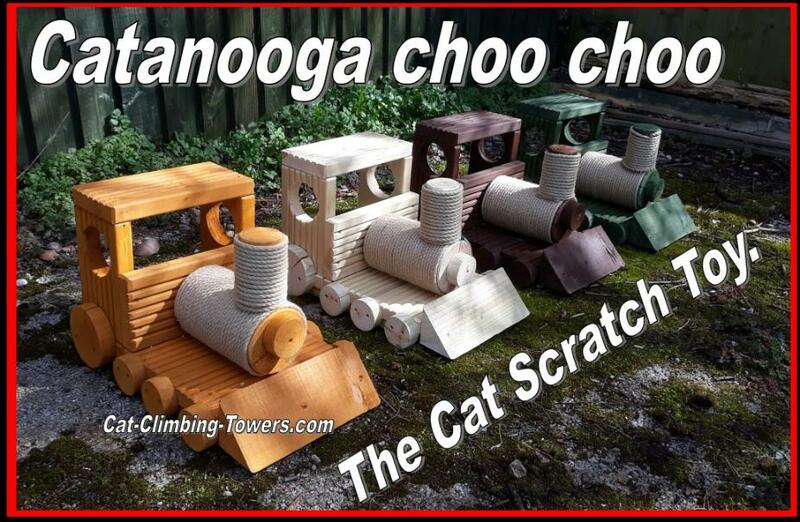 It will be the center of your cats attention at the head of the train, and it will certainly be eye catching for any one coming to visit. A fully roped boiler and chimney. 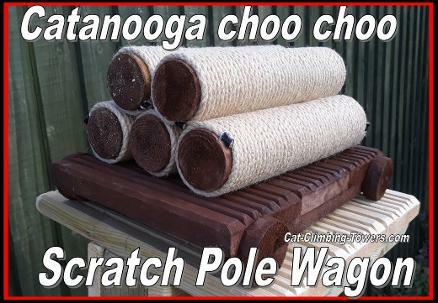 Ever wondered how we get out roped poles from one end of the work shop to the other , we use the Catanooga Choo Choo with the scratch pole carrier of cause (I really would if I could) to move the 5 at a time. 35cm by 30 cm by 20cm. 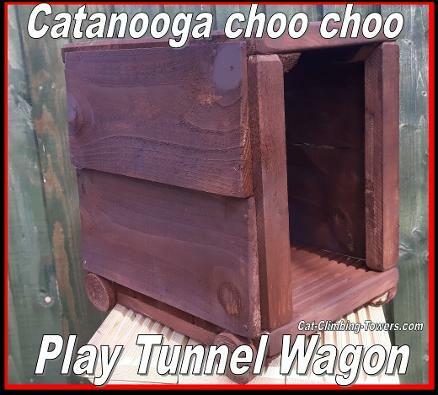 Based on our very poplar play tunnel frame , we thought we would add some wheels and remove the top deck , and it is ready to hit the rails as part of the Catanooga Choo Choo. it makes a great little hiding spot or a nice place to sit on top off. 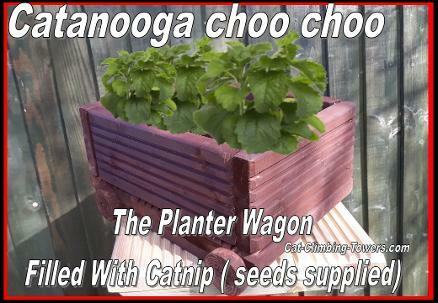 You don't have to put catnip (we supply a small seed pack it you want to), but your cats will thank you for it. 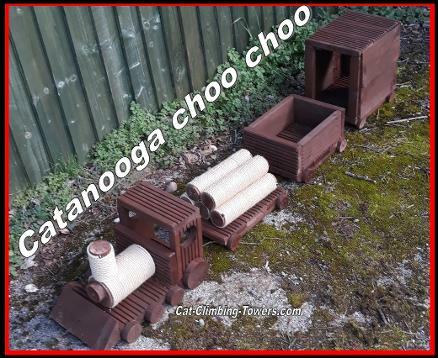 The planter wagon is 35 cm long by 30cm wide and 20 cm high.